Chatting with other travel bloggers is always a treat. Each one of us have carved our own path to success and what has got them where they are to day is so different. While that's the case, that's not to say that we can't learn from each other and that's why these podcasts are so powerful. 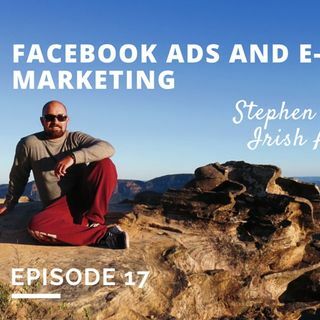 In this one with Stephen Palmer of Irish Around Oz, he shares his wealth of knowledge of Facebook ads and e-mail marketing. This one's jam packed with information so you're ... See More going to want to take notes. In this episode, I ask Stephen about how he's been able to leverage Facebook Ads to make serious cash. From his approach to these ads and his experiments you get a true appreciation and understanding of how you can leverage affiliate marketing in your travel blog to make money. The second half focuses on e-mail marketing and the genius use of segmenting his list and build follow-up series to both promote affiliate products and increase his engagement with fans. Thank you for listening to the show! It's really because of you that I do these so I appreciate all the support. If you like what you heard and can't wait for the next episode, please share it using the social media buttons you see on the left side of the page. If you prefer TuneIn, Stitcher, Spreaker or Windows catalogs (should show up on search!) I'm also on there. You guys make it all happen and with some help, I'd love to be able to do even MORE for you. Check out the Travel Blog Breakthrough Patreon page to find out how you can support the cause. Whether it's $1 or more, it all counts.